A whole new design of Grafted in pendant. certified, 2000 years old roman glass. 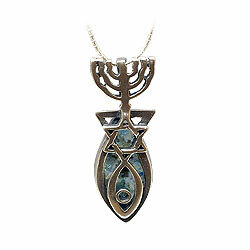 Wear a peace of history of the holy land. Product Includes: 18'' inch St. Silver chain.